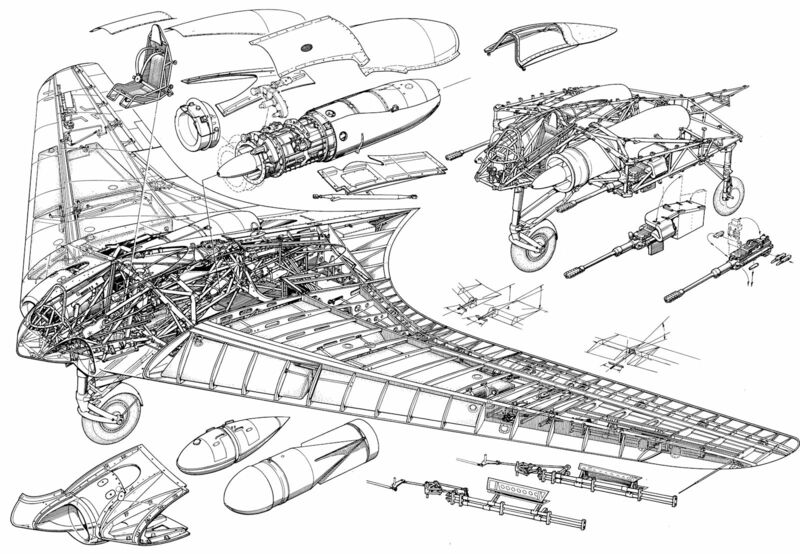 Today we start off in a several part build of the new 1/32nd Horten Ho 229 kit from Zoukei-Mura. Released for sale today this kit and a few extra parts have been the focus of quite a few modellers in love with the bat-wing shape. We will look at what is in the box today, then build it over the next week to show you just how to get the best out of this new kit. Decals for two versions with many numbers. Part II – Building up the power..
Why Osteology? 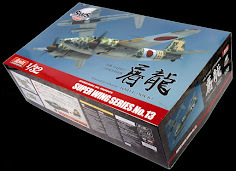 Well - when you see pictures of this kit in production you might have thought that in keeping with Zoukei-Mura’s design philosophy that this kit was a big bag of bones. Indeed the study of a skeleton is sometimes what making this kit feels like at times and if you weren't to delve further than buying the kit to look at the box. 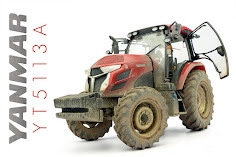 The structure of the kit can be finished in three different ways. In a normal manner with paint/glue and weathering. In a unpainted form with clear surface parts of the entire aircraft skin to show off the engines and wings – or bars of surface skinning so you can see every bit of the interior. This made a fair few people pretty excited (and no doubt a few just put it in the too-hard basket straight away because of this almost genealogical approach to modelling), and myself I was not sure about it. The argument here is that you will never achieve the scale thickness of and aircraft’s internal structure with plastic. so why include all the extra plastic and time needed to build it? Well after a look at this kit it seems you might never replicate this feature exactly but you can get very close. 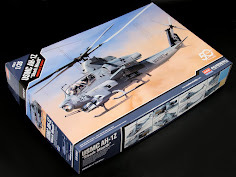 With the Mustang we reviewed a few months ago from ZM I said that in that instance that their representation of the interior skeleton and indeed the finished kit was very good in my eyes. 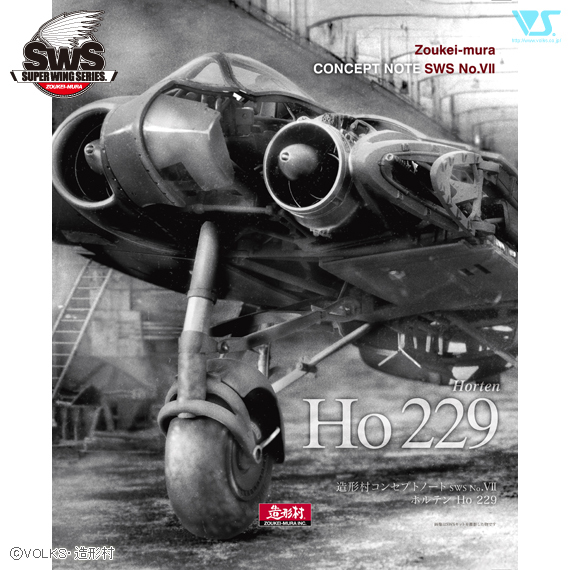 It is that philosophy that is is on offer again with this - the eighth model in the Super Wing Series of the 1/32nd scale Ho 229 Horten. 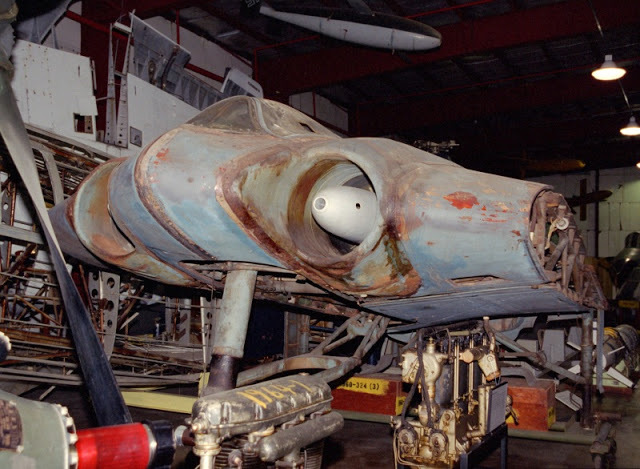 Horten H IX (or Ho 229 or Gotha Go 229) - a little history before we begin…. 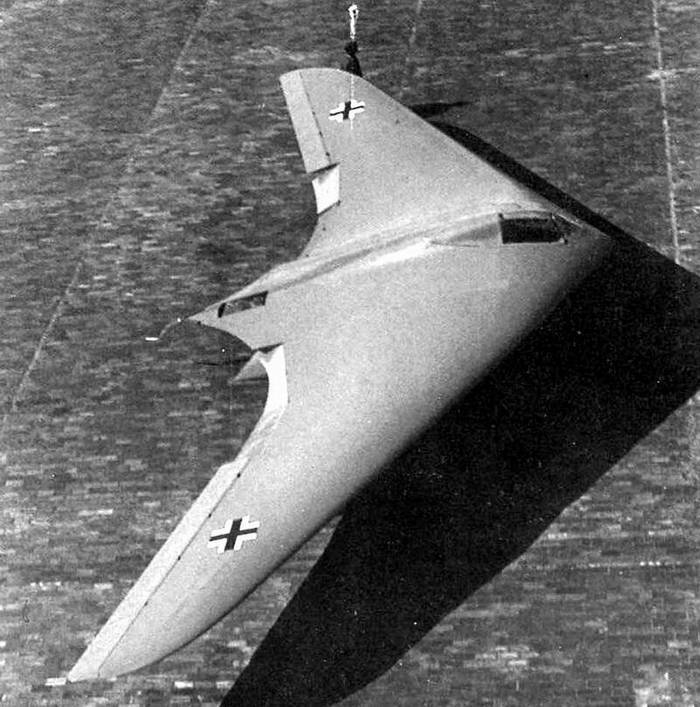 Reimar and Walter Horten designed many gliders in the pre-Luftwaffe era of the German 1930’s, so when Germany came to the fore in aviation with the Nazi Party in power and spending a lot of money on new radical designs it seemed natural for their revolutionary “tail-less” designs to follow the air force into the spotlight of the world. The development of Jet engines seemed a natural fit with their large winged gliders and so came the almost mythological Ho 229. One still exists now in the Smithsonian museum in the USA in a constant state of restoration. 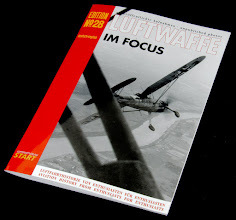 One can see how this will be not just a popular model with the “Luft 46” people as well as other modellers who want something a bit different but wholly conceivable in the skies over Europe in 1945. The H IX/ Go 229 was a single seat fighter bomber with a 16 m wingspan with twin jet engines and it was a further development of the H V and H VII designs. 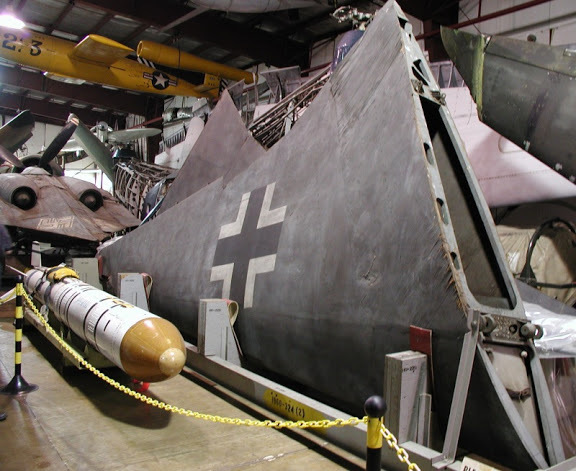 It was devised by the Horten brothers to suit the Luftwaffe requirement to create a 1000 kg load over 1000 km at 1000 km/h – the so called 1000/1000/1000 rule. 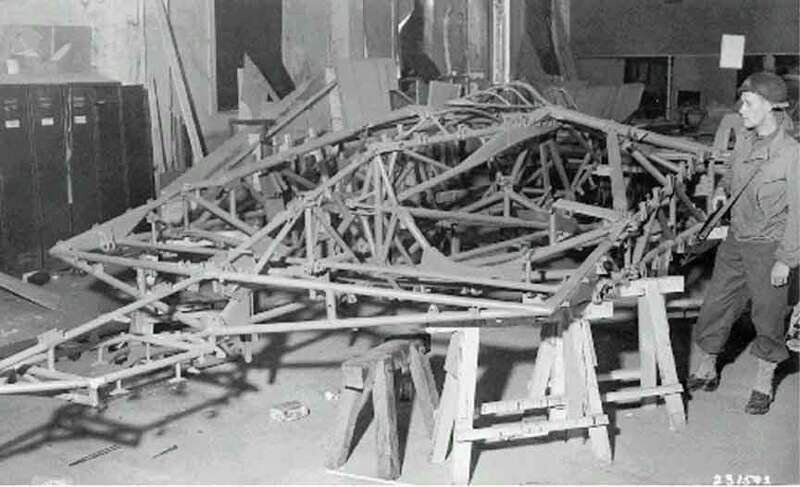 Six H IX type’s were started into production and they were designated V.1 to V.4 (V.6) - V.1 was the first prototype, designed as a single seater with twin B.M.W. 003 jets which were not ready when the airframe was finished. It was accordingly completed as a glider and extensively test flown – here is the short history of this series of jets. 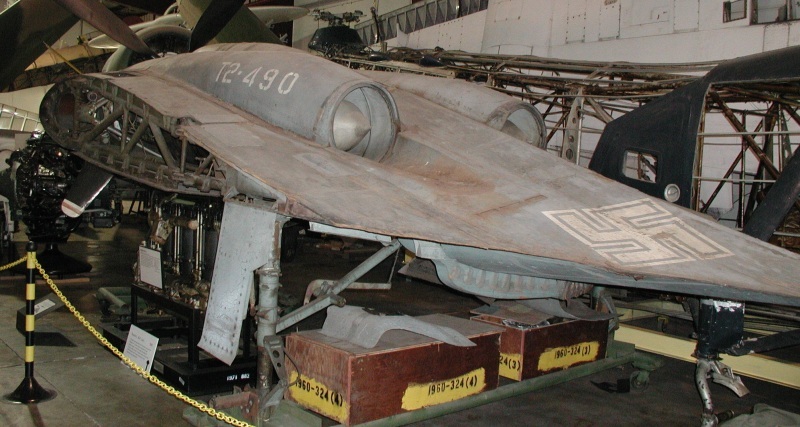 · V-1 - was completed as a glider (no turbines) "D.V.L. 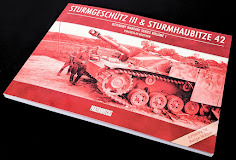 (Deutsche Versuchsanstalt für Luftfahrt) instrumented it for special directional damping tests to determine its suitability as a gun platform." 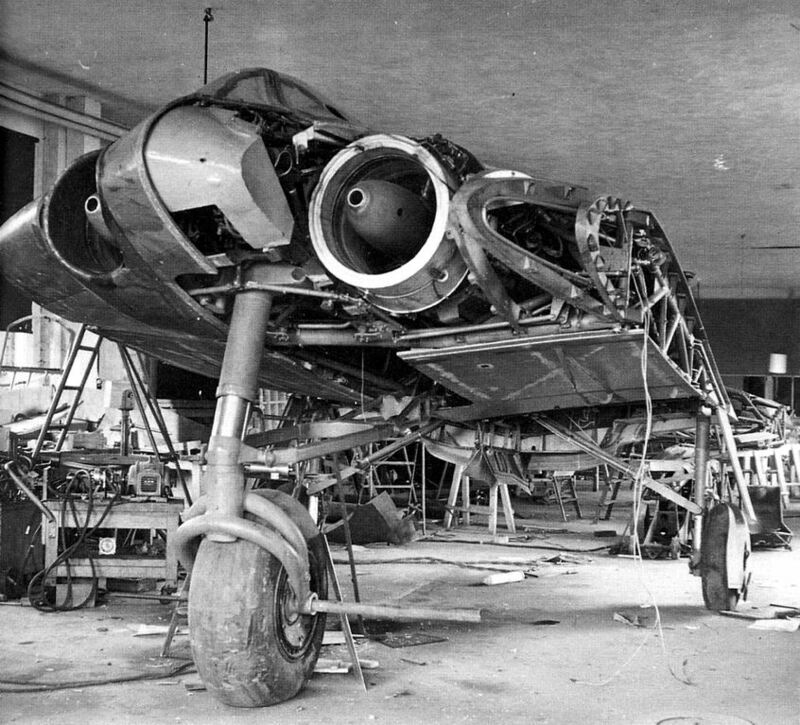 · V.2 - was completed (also at Gottingen) with two Jumo 004 units and did 2-hours flying before crashing during a single engine landing. The pilot (Ziller) apparently landed short or was the victim of a stall after misjudging his approach, effect of drag by lowering the airbrake and power available and was killed in the crash. 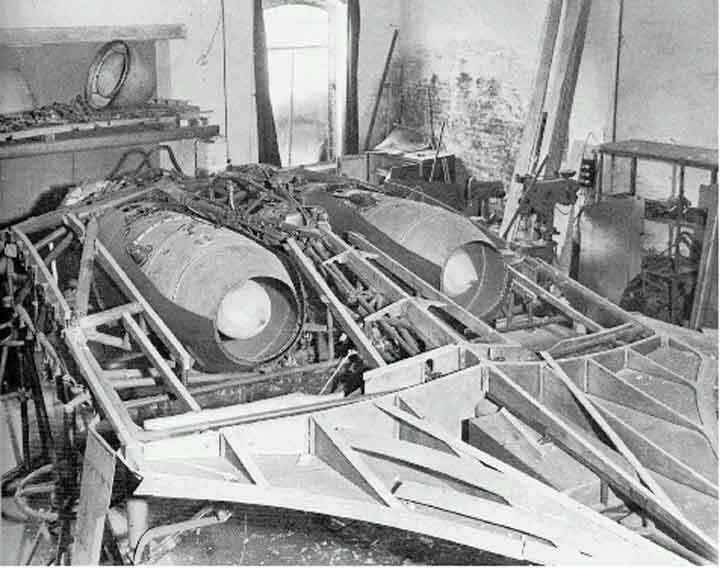 · V.4 – had received the engines and the works had begun to create the wooden structures of the wings. Although this aircraft never saw active service it captures the hearts and thoughts of WWII and modern aircraft enthusiasts. 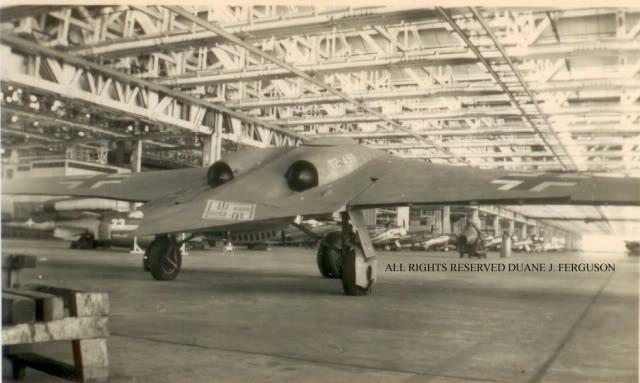 You need look no further than the Grumman B2 Stealth bomber to see the influence it had on designers up until the present day. With a kit potentially so confusing to make you could not have an instruction booklet that looks like a “mad woman’s breakfast” (as one of my old teachers called my work) it need to be concise and it needs to show you the details in a good size so your eyes can see it. These instructions do just that – they come in the form of a colour printed document which resembles a technical workbook, stamp of approval on the front with gothic font. It certainly looks very cool and sets the picture for your own prototype. The intro inside sets the scene, with the writing in Japanese and English dual text there is a lot of it, and it makes you understand what is going on and exactly what part you are gluing to which with names of each of the bits you construct. They make you aware of difficult parts to construct and delicate parts that may break (!) and the design concept boxes tell you a lot right through this guide. 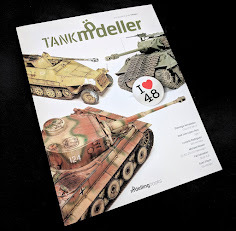 Forty-seven pages in this guide actually goes pretty quickly as we will see when we make the kit. 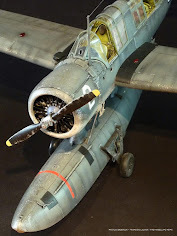 A note to this is that very good friend of TMN at Scale Plastic Aircraft Modeller forum -Mr Thomas Mayer, is writing the “Concept Note” guided explanation of this kit as an extra layer of help when constructing your own model. Here is the link to it as it is now available from the ZM website.. The engine is a particularly daunting proposition but the instructions are clear – helpful and interesting to read. The two different methods of instrument panel is shown as well as the limited cockpit here. Like in this picture you can see how the kit is broken into several assembly sections to make it simpler for you to finish it. I think these are some of the most helpful instructions I have seen and I take my hat off to the writers/ creators who have done a mighty job. 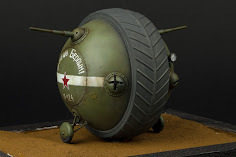 One thing that COULD be added would be a way of cutting out steps not needed for a fast and simple build which some modellers want – just to see the outside and a cockpit/ wheel-well construction without the internals. This would be a good inclusion I think. The decals are presented on one A4 sheet. The nature of this aircraft not really having any markings in reality make this a generic sheet with two “what-if?” colour schemes which are a great inclusion as the numbers are in several colours so you can pick your own made up kite. The instructions again show the what-if? schemes for those hard of imagination - it's a good start! 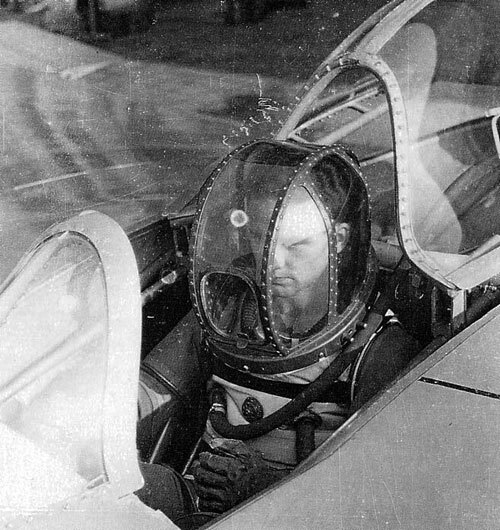 A plastic tape canopy mask is included as well. Now it’s a little luxury in these days to find a kit not doused with photo etched brass to help represent thin surfaces adequately in scale. 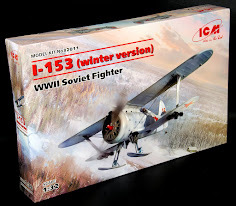 This kit however has none – although there is an instrument panel which is planned in November on their product page I would say that comes from Eduard stock. So you can have that but as we see later on there are a few instrument panel choices already. There were no sink marks that I could find. The use of several injection nodes helps that although it is sometimes confusing which ones you CAN chop off the instructions more than make up for it. You are not left in any doubt what goes where in this kit if you read the instructions carefully. I could see no serious ejector pins (some small ones on the rear landing gears and other places that would be hidden) – even in such a possibly open structure. There are some seams to be taken off – especially the rounded skeletal structure of the aircraft frame. But these are a simple scrapes with a hobby knife and nothing to worry about. 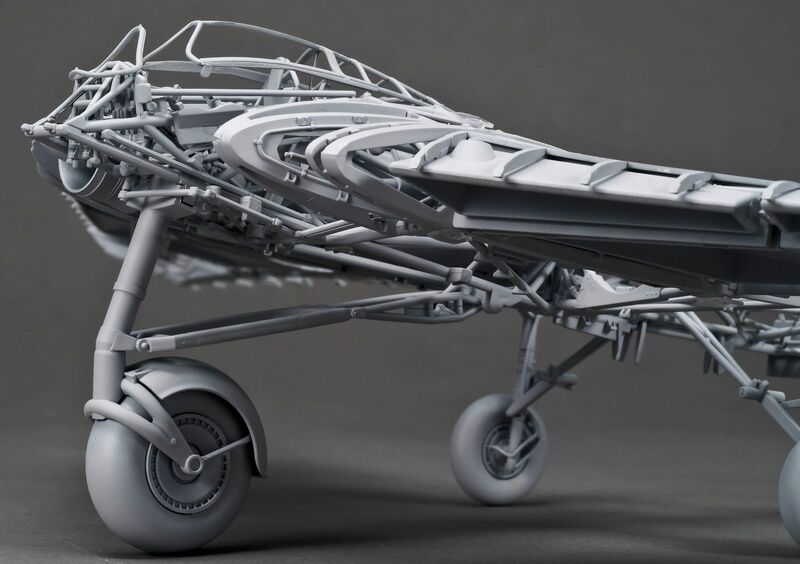 The thing that most impressed me – and we will see this during the build of the kit – is that most of the parts to build one section of the kit like the engines, the fuselage frame, the landing gear etc, are all bunched up on the same sprue or a series of one or two sprues. 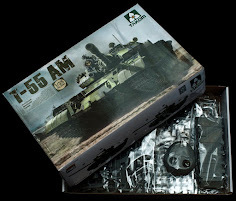 It reduces hunting through a box and wasting time and eyesight, and psychologically it makes the build more rewarding as you toss empty sprues into the rubbish as you go. I really like this approach and I wish other companies would think a little harder about doing this as well. OK on to the sprues..
Sprue A x 2 – contains two grey plastic sprues of all of the parts of the engine – almost the complete insides and outsides of the Jumo 004 engine is reproduced here. You learn a lot more about an engine when you feel like you have made it in scale replica inside and out. The eight stage turbofans and their guides are constructed in the centre of the engines and when aligned you can see straight through them to the rear. The detail on the shell of the engine is nice as well. Parts like the exhaust spike are shown here on the left corner of this sprue. It’s so good to have the parts you need in one place. The other thing that makes this engine in the final wash up is the plumbing around the outsides of the shell. IT sure adds a layer as we will see later. It can be painted after assembly if you are careful. Sprue B – This sprue is dominated with the almost star shaped lower framework of the “fuselage” in the centre of this wing formed aircraft. Also the canopy frame in the lower left and cockpit frame parts (again) conveniently placed on the same sprue. The spider frame here is seen from above – you can see the deep location part holes which help the frame top and bottom mate securely and correctly. A little scraping along all these edges before you put them together is required. In this picture on the left is the tail drag chute to slow the aircraft in it’s fast landings, the plastic instrument panel which can be painted or have the decal placed over it, the control stick below which fits into a frame and the foot “rudder” pedals. The internal canopy frame has some nice rivet detail which will come out nicely with drybrushing or metal pigment. Note the injection nodes – no biggie but all around the place to help reduce sink marks.. There is also a hidden engine from on this sprue that we will show you in the build – I thought I had noticed some extra parts and it was a happy surprise to see them in the instructions – more on that in the engine build. Sprue C This sprue is the reverse of the previous with the parts for the top of the aircraft frame dominating it. Also on this are the two seat choices and their side frames. One with a moulded in seatbelt and the other with a harness-less seat. Also there are the last cockpit parts and the side front frames for the wing spar. The twin seat inserts – one with a belt and the other without so you can include the pilot. The belt is pretty good but the kit actually lets you interchange the seats later on so you can change it around if you like. 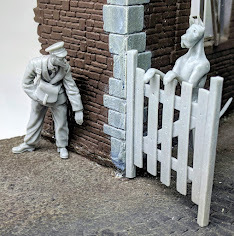 Sprue D – a rather uninteresting to explain sprue but nonetheless important. The many linkages that pass through the aircraft structure frame are here. All with little lugs to fit into the two frames we have already looked at. Pretty much these 5 sprues we have looked at already make up the whole centre of the aircraft. So you can see how it is actually looking more of a simple construction that what we initially feared. The parts we were interested in are the two full Mk 103 autocannon. These are the main parts – and as we will see later with the other bits added and painted they make quite a good set of guns. Too bad like all the rest of this kit they will be lost inside! A good reason to have clear skin! You can see here the two ammo cases on the bottom of the sprue and the octopus tentacle-like barrel of the autocannon with slide moulded partially hollowed out barrels. 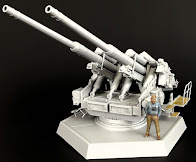 These are great and although there are turned metal barrels now on the market a majority of modellers will find these more than adequate for the job. Sprue E again isn’t that interesting but an integral part – the side frame that the upper and lower parts attach to. A word to the wise – make sure you use the right one for the correct side of the kit – the wing should look like an aerofoil and not a spoiler! Sprue F contains the first of our clear sprues. Added at the request of modellers these sprues are more like opaque than clear. They can be seen through but not in a lot of real detail. The rear upper and lower sections are here, as well as the airbrakes and the wheel well covers/ mudguards for the wheels. An note about these clear parts - with a fine sanding block you can actually make the plastic a little more transparent. So sand away with a fine grade on the INSIDE of the part (which also eliminates any pin marks) to make the plastic to your needs without loosing external surface detail. However it is some work and i can't promise it will be see through but it will be a little more transparent. You can see here the rear lower tail skin. A hole in the back where the ‘chute would come out and the wheel well cover up and to the right. Notice the ejector pin marks on the inside of the tail section? 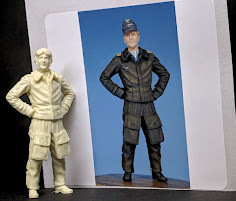 Either sand these flat or live with them – they aren’t that noticeable but modellers being detail bound would want to rid them off the kit no doubt. Slightly better is the upper rear section of the skin. The engine holes are there to rest a completely clear part on top of them so you can show off your magnificent engines. there are nine ejector pin marks here. The same part from the side so you can see the slope of the wing section. Sprue G contains a completely clear part – just as we were just looking at the top clear parts of the engine. As well as this the landing gear doors are here as well as the very small square anchor points to attach the wings to the fuselage. Here you are in a good illustration to see the clearness of this part. Sprue H this is the business end – the pointed nose of the Ho 229. Screw holes on the aircraft are prominent here on this glazed part – again it isn’t completely clear – but you can still see through it to a certain extent. This is seen front on so you can again see more of the shape of this kite. You can see from this view of the wings that there are several connection points to the base sprue to quell sink marks which would well be expected here but none are present (well done) but again there is a little bit of node removal and scraping to make these surfaces flush. The wing fuel tanks – the tops which fit into the last sprue parts (Sprue R). They have piping which joins them all together included which I can say DOES join up perfectly. The little rectangle dots on the top are where these tanks secure to the inside of the wing. Sprue J & Sprue K - The outside of the two sides of the frame of the “fuselage” notice the lugs? These are what the wing joins into. The raised parts of the sprue point to the slide moulding used to create holes in the frame. Sprue L More wing parts here – in the theme of this whole build keeping everything together. Did I mention that I really like the way this has been done? The long wing fuel tanks – again with the attachment points. Filler cap positions and plumbing to connect them all up. This is the cable link that moves the control surfaces on the outer wingtips along with the front wingtip fuel tank. 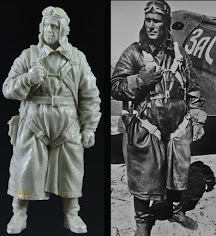 Sprue M & Sprue N The wing outer skin is here for you on these two sprues – one wing on each. This runner is opaque but not completely clear. The flaps are on this sprue a well. A picture showing the not-so-see-through-but-maybe-a-little technology at play here. Enough to get a vague idea of what lies beneath. Again - if you want to see more get your fine sanding block out to make it more transparent. A picture illustrating the surface detail on the wings. Here it is mostly the filler cap points and seams between the laminated plywood. The undersides – showing the wing rib recesses and the access points inside the wing for maintenance. Sprue O This runner contains all the landing gear you could ever need on a Ho 229. All grouped in sections of the sprue left and right so you do not mix them up and like the rest of this kit very neatly represented. The front gear is really a monster – it was needed to handle the high-speed landings of the type without a tail to help slow it down. All of the landing gear needs some seam removal like the round frames. Also there are small ejection pin marks on the hydraulic parts of the inner rear landing gear which is unfortunate but in a good place to hide/ fix. The tyres feature raised “Continental” print on the outersides. What I did not see until poited out by a friend was that the tyre wall is given as “Oontinental” to save ZM from legal charges from the tyre maker Continental. Just take a fine blade and scribe the letter “O” to a “C” and you are ready to lay rubber. 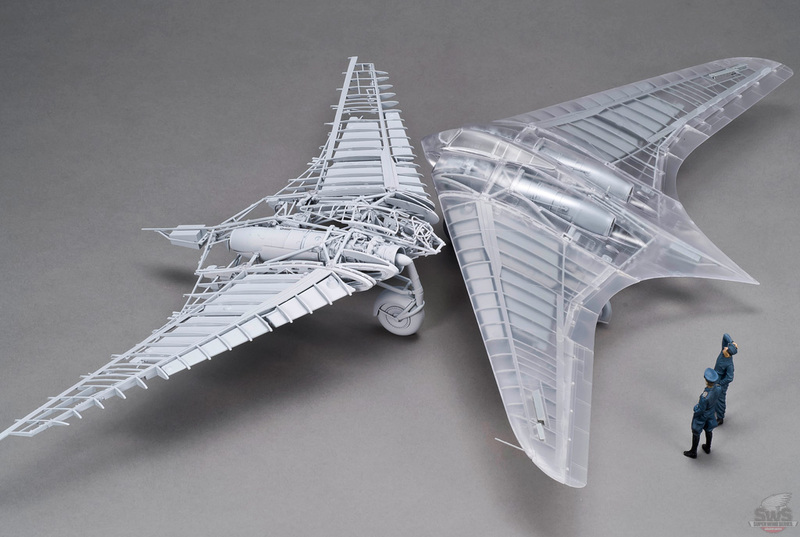 Sprue P Sprue P has the sliding canopy section – the front Plexiglas and the gun sight, wingtip lights and the instrument panel. This is the one that you can makes the dials, paint it and then place decal in behind. The slowest method but maybe the best looking? Sprue Q .. as is the rear section till you hit the metal which is frosted. 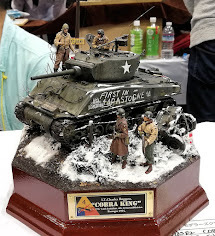 Well that is it for part I – you can see for yourself that I was impressed by the detail, the surface texture choices and I did like very much the clear sections. I would have preferred all of the clear parts on the outside to be completely clear but at least this is one of our options here. This kit therefore is trying to be everything to everyone – and I think it does pretty much that and does it very well. Over the next few days you will see more of the kit going together as we build it for you. 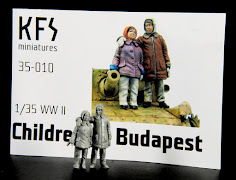 This kit is now on sale at Volks directly at this link – Also check out “ZM’s Old Man Blog” for more details on the company's musings as well!